An old Cherokee is teaching his grandson about life. "A fight is going on inside me," he said to the boy. "It is a terrible fight and it it between two wolves. One is evil - he is anger, envy, sorrow, regret, greed, arrogance, self-pity, guilt, resentment, inferiority, lies, false pride, superiority and ego." He continued, "The other is good - he is joy, peace, love, hope, serenity, humility, kindness, benevolence, empathy, generosity, truth, compassion, and faith. The same fight is going on inside of you - and inside of every other person, too." The old Cherokee simply said, "The one you feed." I spent night after night, gazing through the window at the stars, contemplating this story and all I could take from it. After all, it is an offering of wisdom and given the circumstances in our lives, the meaning changes and offers something new. This story came back to me as I began studying Drunvalo Melchizedek's work. It brought so many fond memories and insights along with it. At this point in our lives, it's no longer about taking the good with the bad, for who's to define what's good and what's bad and from what perspective. Now life seems to be offering more. It's a sort of mixing and blending of duality, a fusion of science and spirituality and an expansion in consciousness. A need for enlightenment, not only for our soul's growth, but also for our survival as a species. I am not one to define myself by what I do, but to give you a small glimpse of my life, I'd have to tell you I am a mother before anything else. Children are the light of the world and should be treated as such. 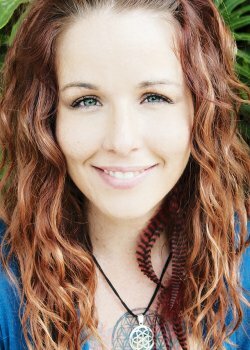 I am also a Yoga and Meditation Practitioner as well as a Facilitator of the Awakening the Illuminated Heart® workshop in the Nashville, TN area and abroad. This is my way of love and service to God, Great Spirit, Allah or whatever you choose to call Creator and to Humanity. One of my greatest passions is to share a life affirming, awakening moment no matter how brief it may be. You know... the one that gives you chill bumps. The one where the dots have been connected and the puzzle has been put together to display the greatness of each and every piece. This moment has the ability to bring you metaphorically to your knees and send you soaring through the sky all at once. It's when you're completely swept away by truth and the pure, raw essence of who you are and what life and love are truly all about. This brings me to yet another deep passion and that is my love for any and all mediums of storytelling, whether it be a story told through music, science, parables, architecture, paintings, movies, or a book. All of these are true expressions of life via art. Through the works of Drunvalo Melchizedek and Awakening the Illuminated Heart®, I have discovered a masterpiece and cannot wait to share it. This beautiful heart opening, self empowering work enables us to open our eyes to the greatest story of all- our own, as well as humanity's. Thank you for being right here, right now. May you create a life of joy, paradise and unconditional love on earth! Kristen is a wise, knowledgeable, heart felt teacher and warm person. I highly recommend her as a teacher. Kristen was absolutely amazing! This workshop is one of, if not the most, profound experiences of my life! <3 Aside from this wonderful angel of a teacher, my only feedback is that having only gone through the creation meditation a few times in class, I felt it difficult to repeat this on my own the first couple of times. The School of Remembering should make an audio version of this meditation available for students upon completion. I am grateful to Kristen for allowing me to be an Observer in this class. Having observer is an extra responsibility, and she opened her class freely to help me through certification. I would love to have had an audio copy of the meditations which Kristen led us through on that last day. By the 4th day I was finally putting it all together and having fleeting success. I would have liked one more day of just 'practice' with our excellent teacher's guidance and in that comfortable love-filled space I know it would have helped me to use and retain all I had learned in the workshop going forward. Kristen is a beautiful soul. The workshop was fantastic! It is amazing what one can do once they learn to not create from the mind but from the heart! Kristen's personality shines so brightly and is so warm and inviting that it makes this workshop very enjoyable and hard to leave once the training is complete. The meditations were so complete and very comprehensive.